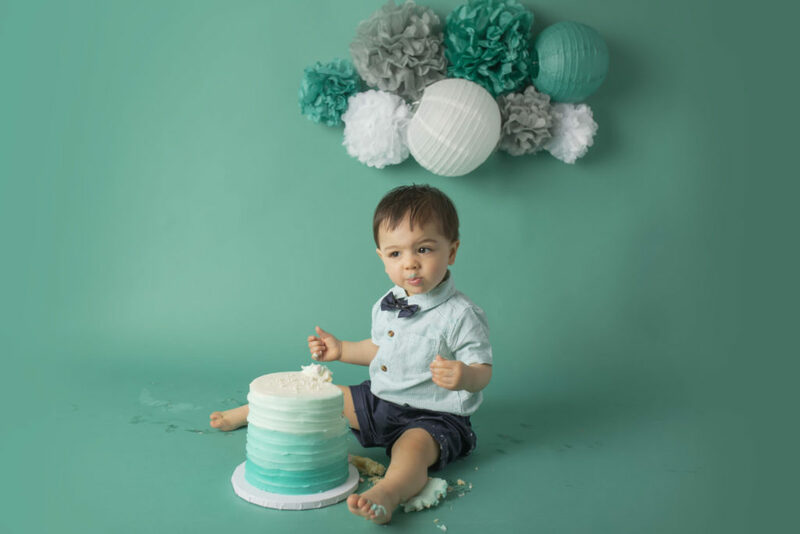 Laura Levitan of Mod L Photography is a Cake Smash Photographer in Dallas, TX. She specializes in maternity, newborn, and family portraits. As babies get older Laura loves to capture their milestones. 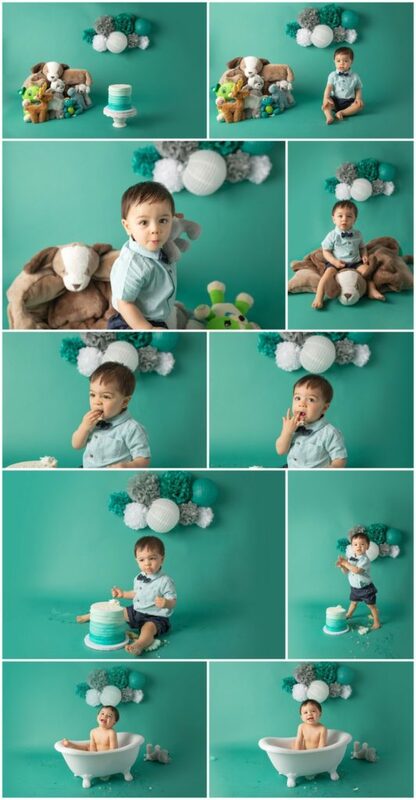 Especially first birthday sessions with beautiful cake smashes. 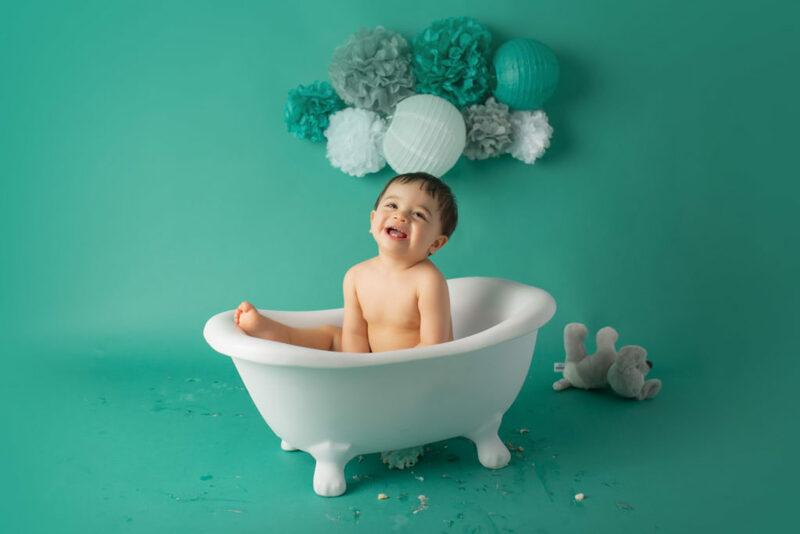 Recently I met with my former wedding clients to plan their baby’s first birthday portrait session. 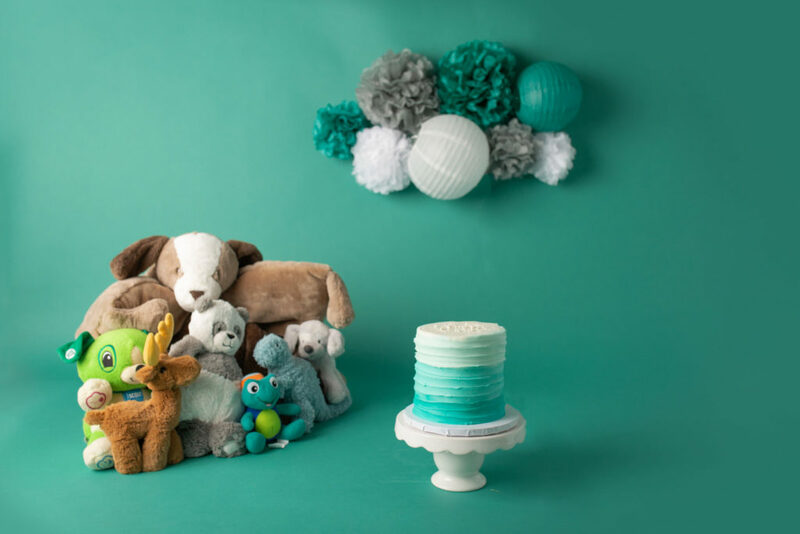 By the end of the design consultation, we had this beautiful teal ombre cake smash concept planned. At the last minute, we also decided to do a really fun and crazy The Office Themed Cake Smash. I love coming up with beautiful new designs to celebrate every age with my clients. And to create artwork for their home to display those memories. For the Teal Ombre Cake Smash, I worked with my friend Annemarie Duebner of Smallcakes at Preston and Beltline in Dallas. I told her what I wanted and she came up with the most beautiful (and delicious) cake. A favorite family color is teal so we worked that into the design, and I just knew an ombre effect would be perfect. Annmarie and her team did an amazing job on this beautiful cake. It was to die for delicious. Did I mention there were two cake smashes during this session? Well that meant I got to keep one of the cakes and sample away. Believe me, I did. Super yummy! We added baby boy’s favorite stuffed animals to the set-up because he loves them so much. How do you get a reluctant baby to smash their cake? Sometimes it takes a few tricks to get baby to tear apart the cake. After all, how many times in their lives have they been allowed to eat a whole cake? This time mom brought some yogurt melts and I stuck them in the cake for baby to dig out. After all that cake smashing it was time to clean up! We finished up our fun cake smashes with a few family portraits. I love including family photography in every session. Everyone needs a beautiful family portrait gracing the walls of their home. Thank you for reading along to see this whole cake smash session in Dallas, TX. Don’t forget to Pin it! 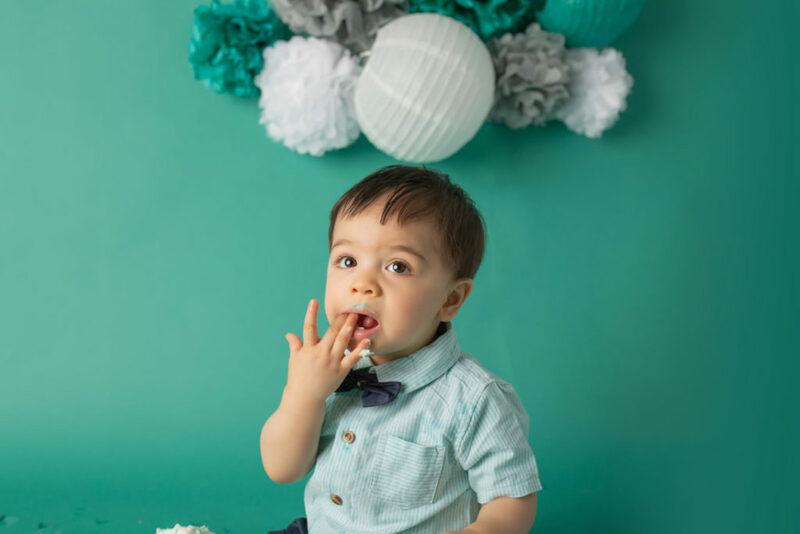 What an adorable cake smash photo shoot! Too much fun! Dallas area is lucky to have an awesome photographer for these sessions! 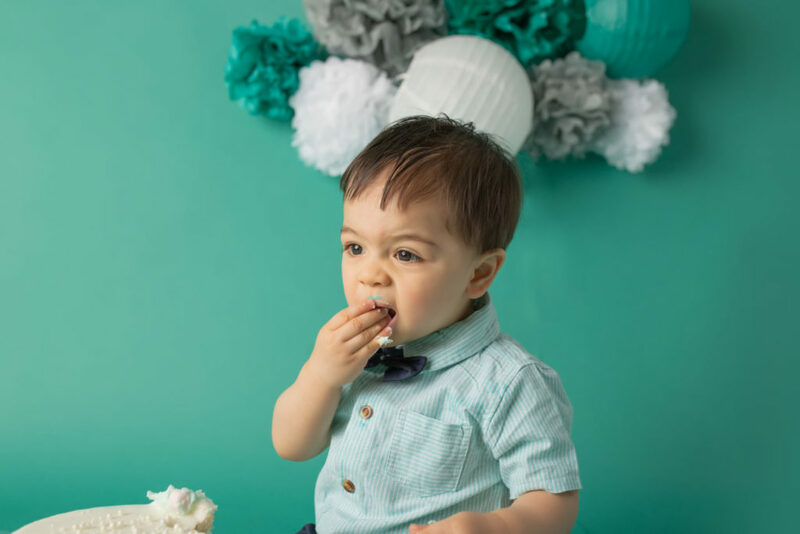 How fun that this little Dallas baby was able to experience his cake smash twice! Love it. 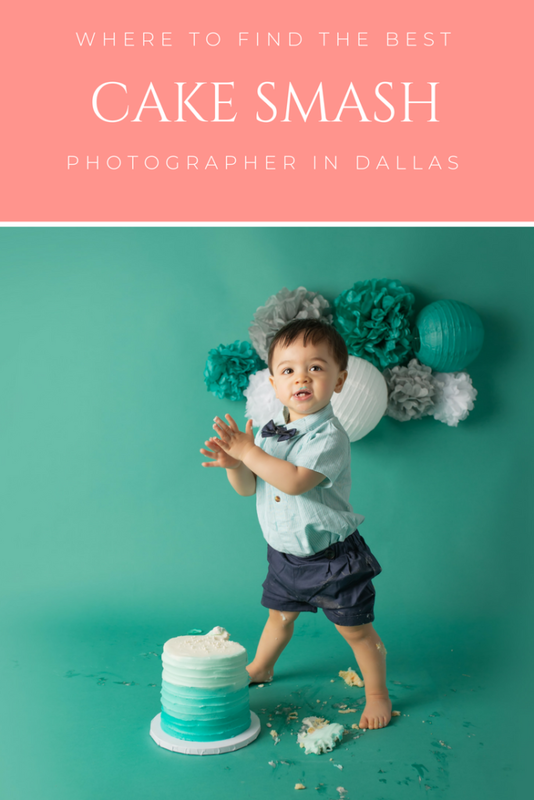 I love that you got classic family portraits as well as cake smash photos for this Dallas baby! Being a photographer looks like so much fun! What a fun cake smash shoot in Dallas! You are such an awesome and creative photographer! Hi Ashley! So sorry didn’t see this comment until now. 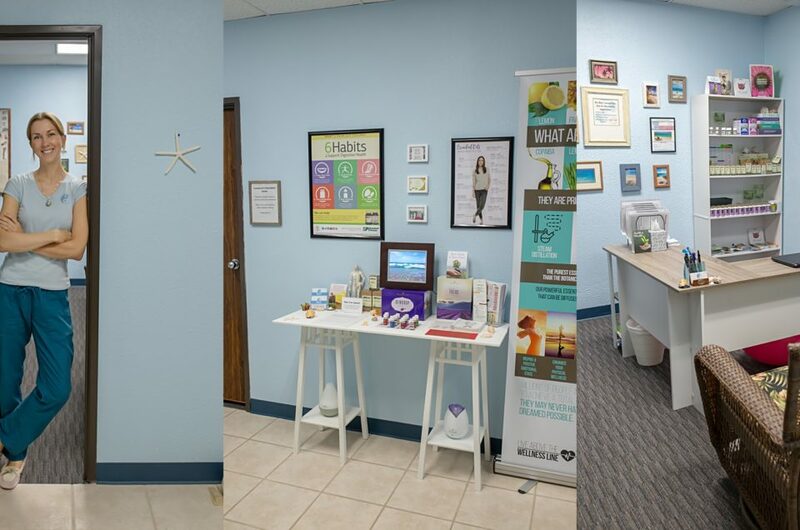 Please feel free to give me a call to chat at 214-460-6992. Thank you! I love the family shots at the end of this baby session! I’m so glad this Dallas family hired you to be their photographer! I’m already obsessed with teal, but this made me love it even more. 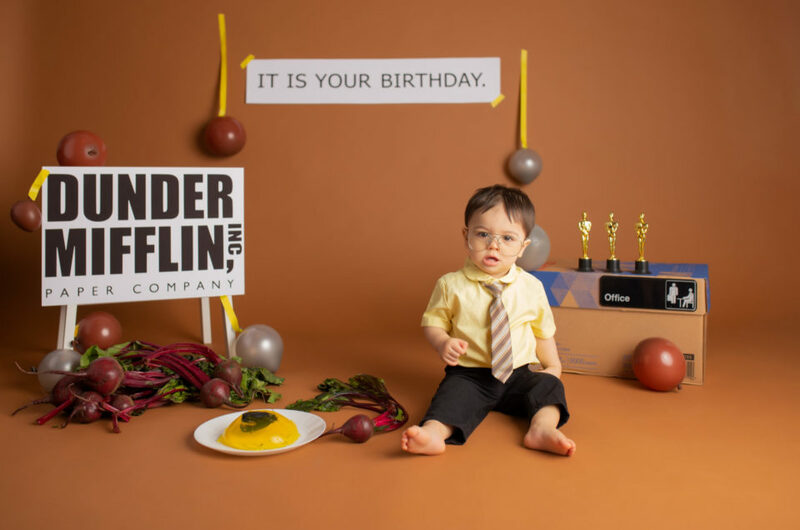 I love how creative you are as a baby photographer! I wish I was closer to Plano or Dallas! What sweet photos of this baby! I see you’re located in Dallas, I’ll let me local friend looking for a photographer know! What a perfect set up for this Dallas session. 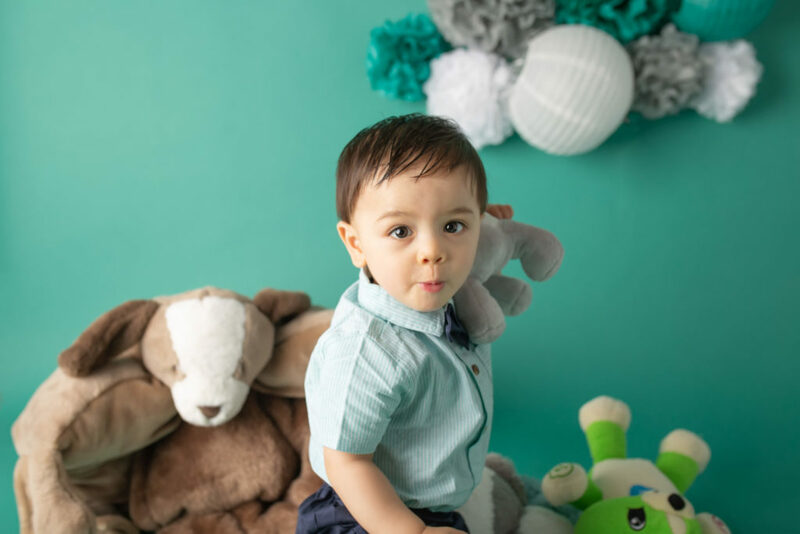 This boy is adorable and you really captured his personality! Are you also a maternity photographer?